Folklore has it, if you rub a genie bottle you shall be granted 3 wishes. Well this genie bottle is a treasure all in itself, no need for wishes as it will be admired for years to come. 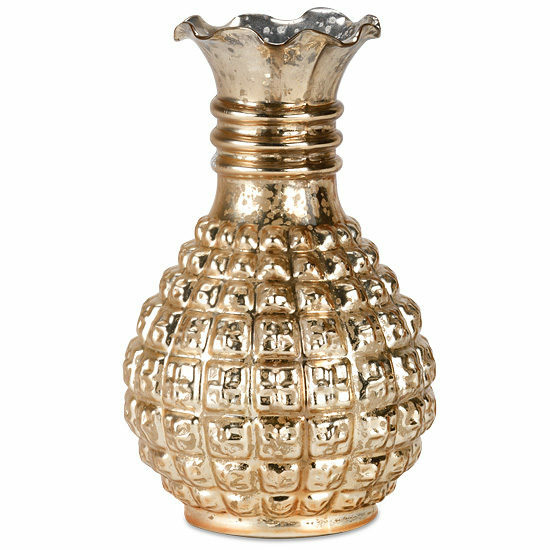 Made of mercury glass and standing 8” high with a gold finish.